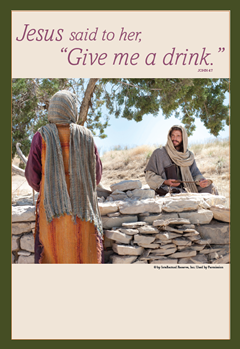 During the Week of Prayer for Christian Unity we are invited to enter more deeply into our faith and to reflect upon the experience of Jesus as he meets the Samaritan woman at the well. The biblical readings, commentaries, prayers and questions for reflection, all explore different aspects of what this means for the lives of Christians and their unity with one another, in and for today’s world. These questions are provided as further opportunities to reflect upon the daily themes. Are we able to identify a common “well” upon which we can lean, and rest from our disputes and competitions ? How do you interpret Jesus’ words that through him we may become “a spring of water welling up to eternal life” (John 4.14)?